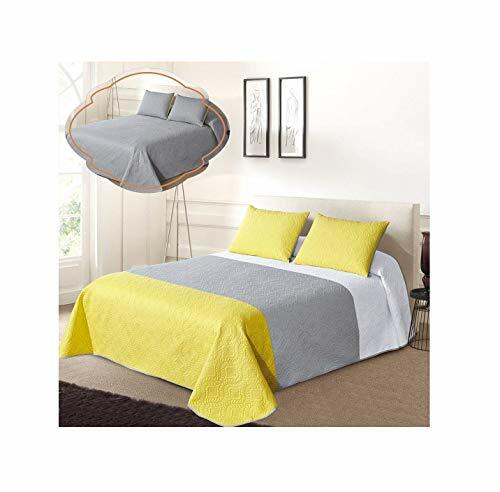 New (1) from $69.90 & FREE shipping. 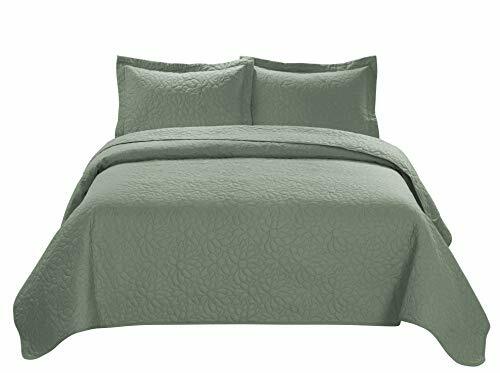 A double/quuen size quilted bedspread with 2 pillow shams. 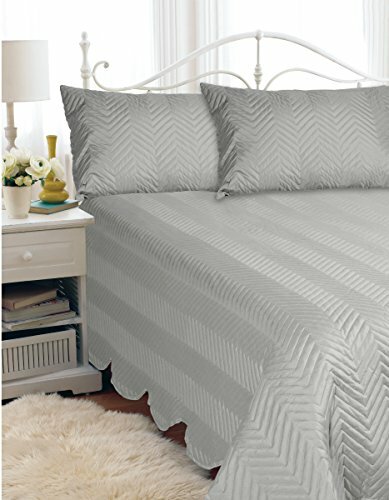 The bedspread has a scalloped edge in a solid grey color.